Rockin’ Bands on the Outdoor Stage! Late 1940’s classic be-bop jazz and blues. Located on the Outdoor Stage Friday, February 15th. Shows at 2:30 pm and 3:45 pm. 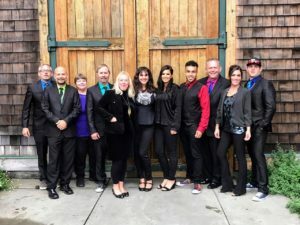 This party band blends funk, soul and dance-ability bringing high-energy to the stage and playing favorites from the 70’s, 80’s, 90’s and today. Located on the Outdoor Stage Saturday, February 16th. Shows at 1:00 pm and 3:00 pm. 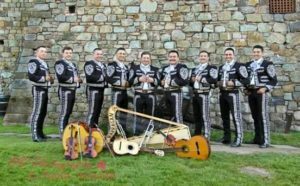 Mariachi originated in Jalisco, Mexico, with the fusion of indigenous cultures with Spanish instruments and lyrics. Located on the Outdoor Stage Sunday, February 17th. Shows at 1:30 pm and 3:30 pm. A dynamic dance band bringing glitz and glitter to the stage, playing an eclectic mix of songs from the 50’s to now. Located on the Outdoor Stage Monday, February 18th. Shows at 1:00 pm and 3:00 pm. 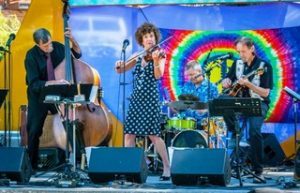 Live Entertainment for the entire Family! A show bursting with magic, fun and amazing demonstrations. As everyone knows, “Laughter is the best medicine”! 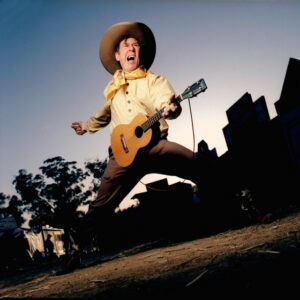 Don’t miss The “Think Safety” Magic Show and Captain Billy’s School of 5-String Banjo. Located inside the Kid Zone. 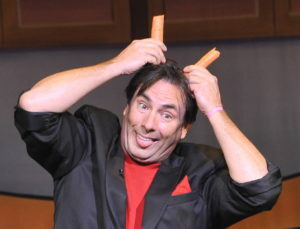 With over 40 years as a full time juggler, 12 Prime Time Emmy Nominations and many years performing in Las Vegas, Michael knows how to wow a crowd. Located on the Family Fun Stage Friday, February 15th. Come see this hilarious combination of comedy & juggling, unicycling and bad judgement. It’s fun for the whole family! 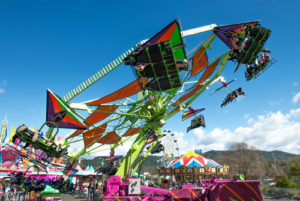 Located on the Family Fun Stage Saturday, February 16th, Sunday, February 17th and Monday, February 18th. 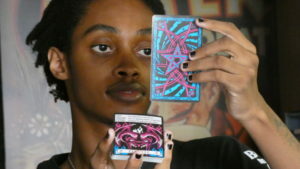 Close-up magician Diante mixes magic with the bizarre in order to ensure that you have a wonderful experience! Find him at various locations around the grounds. 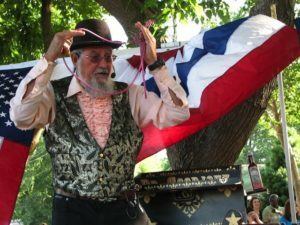 The last of the Vaudeville Cowboys, Slim is an accordion playing, yodeling, tongue-in-cheek, cowboy-dressed entertainer deluxe. Catchy, uplifting, irresistible, jolly fun. Located on the indoor Auditorium Stage Saturday, February 16th. Shows at 12 noon, 1:00 pm and 2:00 pm. 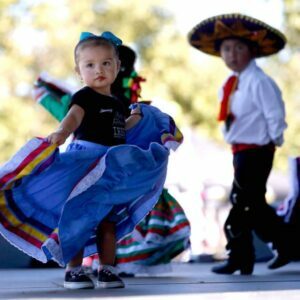 Traditional Mexican dances that emphasize local folk culture with ballet characteristics. Located on the Outdoor Stage Sunday, February 17th. Show at 2:30 pm. 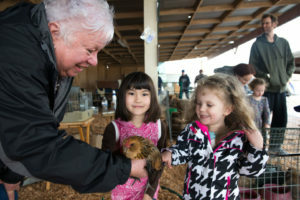 Get up close and personal with some furry, friendly farm animals. Located on the Livestock Area Friday, Saturday, Sunday and Monday. This year’s theme in the Kids Zone is GO WEST! 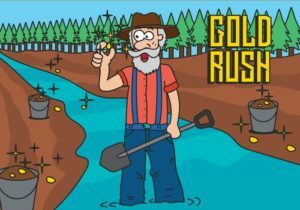 This gold rush adventure will offer crafts and activities like gold panning for the little ones. Located on the Camellia Room.